In the 1950s, a program instituted by NATS was later influential in the development of the DMA degrees in voice and voice pedagogy. Several generations later ,we are at another juncture with many questions being asked about the training of today’s singers and teachers of singing. One of the most important things we can do today is shape the education of tomorrow’s teachers. In preparation for this workshop, attendees will be presented several position papers to read and prepare in advance so that our work together will be most fruitful. An Associate Professor of Voice at the University of Cincinnati College-Conservatory of Music, soprano Gwen Coleman Detwiler has been praised by music critics for possessing a voice of “divine beauty” with “sparking coloratura” (Opera News). Her solo concert and operatic work includes appearances with major orchestras in the United States and Europe, and she has won numerous awards for her artistry. A champion of new music, Dr. Detwiler recently sang the world premiere of Libby Larsen’s latest major song cycle, The Birth Project, in Los Angeles, CA. Her experience with chamber music and song is extensive, and it is in these intimate genres that she finds particular joy connecting with audiences. As vocal teacher, Dr. Detwiler enjoys working with artists both in solo and choral environments. She is in demand as a master teacher in the US, Europe and Asia, and is proud to have vocal students who have sung on illustrious stages all over the world, at the New York Metropolitan Opera and on Broadway. Dr. Detwiler received her vocal and operatic training at Northwestern University, the Cincinnati College-Conservatory of Music and the San Francisco Opera Center Merola Young Artist Program. She currently lives in the greater Cincinnati area with her husband, Jim, and children, Jacob and Katelyn. Laura Lee Everett serves as an Artistic Services Director of OPERA America. At OPERA America, Ms. Everett leads the Artistic Services department, which provides programming, technical assistance, funding and professional development to opera singers, composers, librettists, publishers, managers, directors and designers, and technical production and artistic staff at hundreds of North American opera companies, colleges, universities and conservatories. Everett served as studio manager at the Maryland Opera Studio at the University of Maryland, College Park for 10 years. She has two decades of opera production and stage management experience, having worked at opera companies nationwide, including Anchorage Opera, Aspen Music Festival and School, Opera Columbus, The Dallas Opera, Eugene Opera, Michigan Opera Theater, Lyric Opera of Kansas City, Baltimore Opera and Wolf Trap Opera Company. She has collaborated with some of the most renowned conductors, directors, designers and singers in contemporary opera. In addition to overseeing productions at the nation’s leading opera companies, Ms. Everett has long been passionate about mentoring young artists, having trained as a singer and pianist at Appalachian State University in Boone, North Carolina. She has an extensive and dedicated history of working on new operas and world premieres with many of today’s most prolific composers and librettists. Claudia Friedlander is a voice teacher and fitness specialist based in New York City. Born in Queens and raised in New Jersey, she began her musical studies as a clarinetist. Her passion was fueled by her early experiences playing in the Young Artists Orchestra at Tanglewood under the batons of Seiji Ozawa and Leonard Bernstein. This led to private studies with Richard Stoltzman, a Master’s degree in Clarinet from Peabody Conservatory, and a brief stint as the principal clarinetist of Orquesta Sinfónica del Estado de México. Shortly after completing her undergraduate studies at Bennington College, she was encouraged to study singing by conductor Blanche Honegger Moyse. She sang while continuing to play her instrument, earning a Master’s degree in Voice at Peabody simultaneously with her clarinet degree. Eventually, her fascination with the physiological process of singing eclipsed her passion for clarinet. 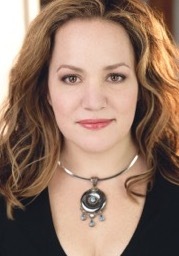 In 1995, she began doctoral studies in vocal performance and pedagogy at McGill University, which she completed in 1999. In 2002, Dr. Friedlander moved to New York City, apprenticed herself to renowned pedagogue W. Stephen Smith, and established her voice studio. In her first few years of teaching, frustration with her inability to address the mechanical dysfunction some of her students possessed in a methodical and rigorous way motivated her to study kinesiology. After receiving her certification as a personal trainer from the National Academy of Sports Medicine, she became inspired to apply the concept of sport-specific training to the professional voice. Dr. Friedlander has presented workshops on vocal fitness for The Voice Foundation and the Performing Arts Medicine Association, and was an invited panel discussant on health and wellness for OPERA America. Her students have performed on Broadway, and at leading opera houses including The Santa Fe Opera and the Metropolitan Opera. She is the author of the monthly column “Musings on Mechanics” for Classical Singer Magazine as well as a widely read and cited blog on vocal technique and fitness, The Liberated Voice. In 2008, she joined the faculty of the Weill Music Institute at Carnegie Hall, where her most recent project was the development, in collaboration with Joyce DiDonato, of The Singer’s Audition Handbook, an interactive online career development guide for young singers. Scott McCoy (tenor) is a noted singer, conductor, and pianist with extensive performance experience in concert and opera. He is Professor of Voice and Pedagogy, Director of the Swank Voice Laboratory, and Director of the interdisciplinary program in singing health at The Ohio State University. His voice science and pedagogy textbook, Your Voice, An Inside View, is used extensively by colleges and universities throughout the United States and abroad. McCoy is the associate editor of the Journal of Singing for voice pedagogy, and is a past president of the National Association of Teachers of Singing (NATS). He also served NATS as Vice President for Workshops, Program Chair for the 2006 and 2008 National Conferences, chair of the Voice Science Advisory Committee, and as a master teacher for the national Intern Program. Deeply committed to teacher education, McCoy is a founding faculty member in the NYSTA Professional Development Program, teaching classes in voice anatomy & physiology, and acoustics & voice analysis. He is a member of the distinguished American Academy of Teachers of Singing. Dr. Brett Scott is Associate Professor of Ensembles and Conducting at the College-Conservatory of Music, University of Cincinnati, where he conducts the CCM Chorale and teaches choral conducting and literature at the graduate and undergraduate level. He is also Music Director of CCM’s Opera d’arte, which has won numerous awards through the National Opera Association. Under his direction, the CCM Chorale released its premiere commercial recording, Lux Dei, through Ablaze Records, and has begun production of its second recording, focusing on sacred music for choir and electronics. His conducting students have twice reached the final of the ACDA graduate student conducting competition and have been selected to participate in Chorus America masterclasses. Prior to his appointment at the University of Cincinnati, Brett was Director of Choral Activities at the University of Rochester and Assistant Professor of Music at the Eastman School of Music. He has conducted and taught throughout the United States, Canada, Central America and Europe. An acknowledged expert on contemporary music, he is in demand internationally as a lecturer and teacher and has presented at several national and international conferences. He is editor of Chorus America’s Research Memorandum Series and President-Elect of the National Collegiate Choral Association.